While India has been blessed with the skilled artisans and craftsmen, the increasing design professionals, the budget of the filmmakers and the exposure offered through the television have enhanced the visual sensibilities of the Indian cinema. Through the song ‘Jab pyar kiya toh darna kya’, Indian actress Madhubala danced in the hearts of numerous fans, who were also smitten by the grandiosity of the set. 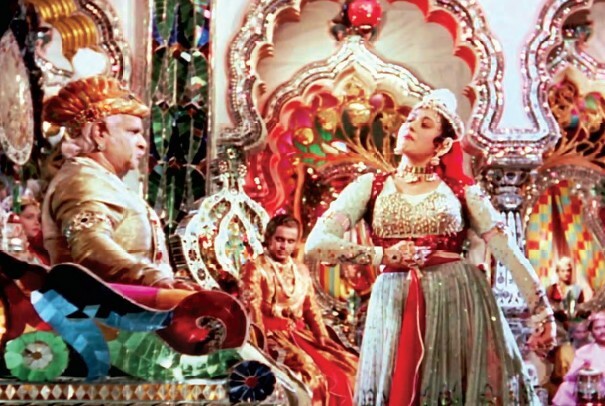 The popular song from the 1960 legendary period film Mughal-e-Azam became an instant hit among the cinema lovers. The film was based on the 16th century Mughal India where the son of emperor Akbar, prince Salim, falls in love with a courtesan Anarkali and the tragedy that follows. Apart from the cast and their acting, the film earned immense applause for its detailed considerations on script that minutely studied the lingo of the era, the costumes and most importantly the elaborate set design that successfully envisaged the 16th century feel and the Mughal prosperity. Director K Asif spent two years on erecting the set just for this one song, that dazzled with glasses imported from Belgium. For the set that was 35 feet high, 80 feet wide and 150 feet long, it cost Asif INR 1.5 million, close to the average budget of an entire film in that period. Inspired by the Sheesh Mahal (Palace of Mirrors) built by Mughal emperor Shahjahan in Lahore, the set was designed by art director A K Sayyad who took the assistance of artisans from Firozabad in the northern state of Uttar Pradesh for the dextrous inlaid work on walls, pillars and the ceilings with multicoloured mirrors. After the shoot, the set was preserved for over six months at the Mehboob Studio in Mumbai and was kept open for the spectators. Nitin Desai, a production designer who has given his 30 years to the industry and designed the sets of 178 films and 250 TV serials and game shows, says, “It was the grandeur of the set in the song in Mughal-e Azam that inspired me to take up art direction.” It was, therefore, a dream come true for Desai when he got the opportunity to design Sheesh Mahal in Jodha Akbar (2008) where he used over two million glasses and mirrors to recreate the palace of mirrors that formed an important part of Mughal palaces. Jodha Akbar, made by the filmmaker Ashutosh Gowarikar nearly half a century after Mughal-e-Azam on the same protagonist from history, left the viewers awed by its majestic set. The much talked about Sheesh Mahal was a part of the 1,200 feet long and 50 feet tall replica of the Agra Fort created at Desai’s studio in Mumbai that also contained Amar Singh Darwaza, Diwan-E-Aam, Diwan-E-Khaas and the residential palace for Akbar and Jodha. Production design, simply put, is the discipline that creates an appropriate visual world that the characters of a film inhabit. Depending on the script this could be region specific, period specific, futuristic, fantastical, theatrical – the field is as varied as the scripts of films. However, the visual essence of the cinema has changed over the years. From the dramatic sets of the films in the 60’s and 70’s era, Indian cinema has a come a long way, especially with the advent of the realism in cinema. The elaborate sets have been replaced by the real settings. “Earlier the cinema depicted cultural aspects, dance being an important element. Post partition films based on social messages and independence from makers such as V Shantaram. However, now because of the television and the reducing distance between Bollywood and Hollywood and the world cinema, realistic approach has influenced Indian films as well,” says Desai. For the upcoming film of director Anurag Kashyap, Bombay Velvet, he envisaged a film based on Mumbai of 50’s. “The film was floored for a long time because it was a story of a city and when you make a film like that then you have to create a city without it,” says Kashyap who is accredited for many critically acclaimed films such as Dev D (2009), Udaan (2010) and Gangs of Wasseypur (2012). While in these films he chose real locations to shoot at, the script of the Bombay Velvet demanded for a specificity. His visualisation was transformed into a city spread across nine acre land in Tissamaharama in Sri Lanka by production designer Sonal Sawant who took 10 months to build the set. Apart from the details of the city, the film minutely paid attention to specifics such as the artefacts and vintage cars to justify the 50’s era. Similarly, in Dibakar Banaerjee’s recent film Detective Byomkesh Bakshi which is a book adaptation and based in the Kolkata of 1943, the filmmaker created an illusion of Kolkata of 1943. “While recreating Kolkata of 1943, I followed the mood and theme of the film and not necessarily reality,” stated production designer Vandana Kataria, sharing that she started her research around six months before designing the set and went through material from 1940’s Kolkata. “I even spoke to 80- and 90-year-olds in order to get a sense of that time”, she added. 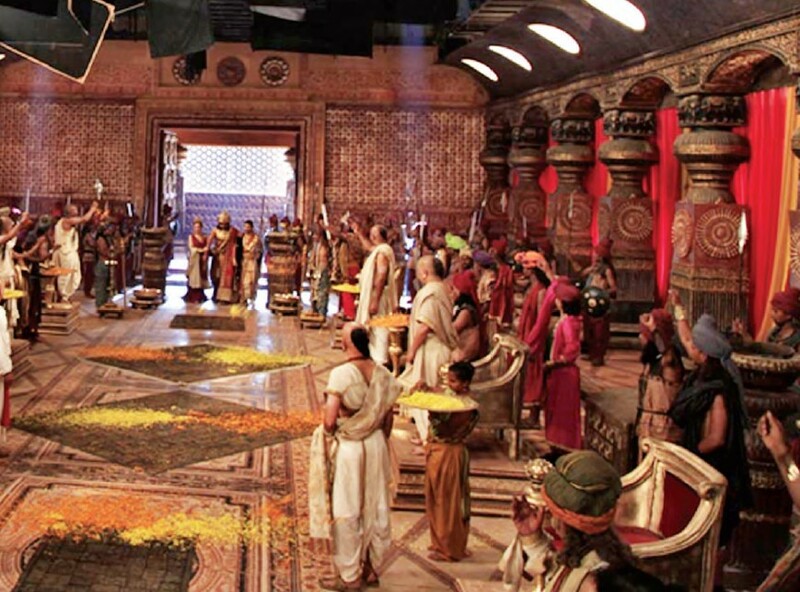 While these scripts were based on the cities of specific era, directors such as Sanjay Leela Bhansali and Ashutosh Gowarikar are known for the grandiose sets of their films. For Bhansali and his imagination, production design takes a special place in the making of a film, evident through his larger than life sets in films such as Hum Dil De Chuke Sanam (1999), Devdas (2002), Saawariya (2007) and Goliyon ki Raasleela Ram-Leela (2013). “I have worked with Sanjay Leela Bhansali in Khamoshi, Hum Dil De Chuke Sanam and Devdas. He always had a song-based narration. The pattern and style for each film, however, was different. He told me that Hum Dil De Chuke Sanam was a musical film but Devdas would be more of a visual film as the book had been transformed into films nine times by different filmmakers in past. So our approach was glamorous yet authentic. The film was appreciated even internationally for its authenticity, larger than life treatment and the usage of materials. I received the production designer guild card of America,” says Desai. “I always try to use the techniques matching the international standards. Earlier in India, planks and plaster was used for the sets and I started using scaffolding, metal works and fibre glass for the first time to make sleek, beautiful and authentic sets,” says Desai whose works such as 1942: A Love Story (1994) in the past had left the viewers imagining that the film was shot in the Himalayan region of Dalhousie, while it was actually a set designed in his studio. “The tourists visiting Dalhousie think that it was shot there and seek the places,” says the proud designer. Another key element, the song and dance sequence form the USP of the Indian films and offer immense potential to production designers. While numerous songs take one to exotic locations, many aim on giving the viewers an experience through lavish sets. In Hum Dil De Chuke Sanam, for instance, a special Garba (a dance form from the western state of Gujarat) platform was created for the song Dholi Taro with crushed marigold flowers and light and lamination. The song was a rave during the promotional stage itself. Similarly in Devdas, the song Silsila ye chahat ka that adorned diya (lamp with wicks) through the blue and pink glasses earned appreciation. The current trend of item song further adds to the creativity of designers. “One needs to study the film and the form in such a way that it is balanced with the rest of the film,” says Desai. The relationship between director and production designer is very crucial. Once the director finalises a script, the production designer and art director help him convey the story through visuals. Gowarikar, who has been appreciated for his immaculate sets of his films Lagaan (2001) and Jodha Akbar has confessed on several occasions on the importance of production designer and art directors who help him in imagining the film visually. However, it’s a team work, says Desai. “Post the research, first draft of design and three-four discussions with the director, we start making models or 3D images or technical drawings. We then involve director of photography. Art department consists of production designer, art director, assistant art director and prop master, construction crew, carpenter, fabricator and painter. The costume designer works together with the production designer to synchronise the theme, and colour palate of the costumes with the set. Then there is a discussion with the cinematographer. Therefore, the director, production designer, costume designer and choreographer should have a good coordination for the visual appeal of a film”, says Desai. The directors now, unlike in the past, give decent time and budget to the production designers. This could be attributed to the success of the films in the box-office where the collections cross over a billion. “The filmmakers are ready to take the risk of spending more money depending on the subject. Earlier they would spend 20-30 million or maximum 100 million but now they are ready to spend over a billion on a film, that automatically increases the amount for designing the sets,” says Desai. He adds, “ Earlier we would make palaces or cities in merely seven days or maximum 3-5 weeks. The massive sets for Devdas, for instance, I created in five weeks. The time and money spent by the production is a good change.” For his upcoming film Prem Ratan Dhan Payo, a film by Sooraj Barjatya, the filmmaker called him one and a half years ago giving him considerable time between research and execution. While Prem Ratan Dhan Payo is based on the backdrops of Rajasthan and Gujarat, 90 per cent has of the film has been shot inside the walls of the studio. “It is a challenge to shoot in real location with film stars. Therefore the filmmakers prefer to create controllable situations. In studios we have street where you can shoot Delhi, Mumbai, Bangalore or any other city. 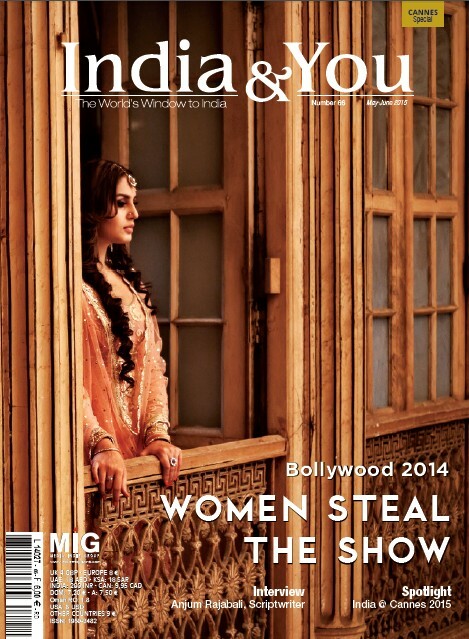 For authenticity, one has to have a mixture of real locations but that needs to be done tactfully,” explains Desai. “Six-eight years back entertainment industry was not as progressive in India, but now because of numerous television channels and programmes it is a popular career choice among artists, interior designers and architects,” says Desai, thanking the television industry that opens ample opportunities for art and design professionals. “When I started 31 years back, it was difficult to find assistance. But today there are so many design programmes and courses developed around the field such as art direction course in FTII and production design in Ahmedabad-based National Institute of Design (NID),” he adds. However, it is also possible to assist art directors and learn on the job . “Anyone who is an artist in the true sense and has creative imagination can be successful in this field,” says Parineeta (2005) fame art director Tanushree Sarkar. The award shows telecasted on television too allow the recognition of technicians, designers and other crew members from behind the camera. Desai, who is also working on the master plan for the renovation of the Film City in Mumbai assigned to him by the Maharashtra state government, says, “ According to the script and technique one has to change and that’s why Indian cinema is getting closer to the world cinema. And exposures in festivals such as Cannes bridge the gap even further. We are planning for a festival of similar scale to be organised in the Film City once it is renovated.” Of the 571 acres land capacity in Film City, merely 67 acres have been used, leaving immense potential. With the skills of Indian artisans and craftsmen, design professionals and now the filmmakers improved budgets; we can only hope our films to be visually richer.